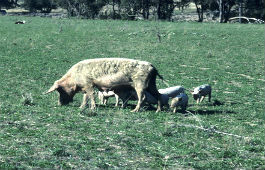 A brief overview of pork production in NSW. An in depth review of the pork industry's contribution to the economy and community of NSW. Access the podcast and transcript. For people considering keeping a pet pig the Primefact Pigs as pets contains important information that should be taken into account prior to purchase.